The mid-‘90s were a rough time for Marvel. Losing money hand over fist, the comic giant filed for bankruptcy before laying off one-third of their staff. 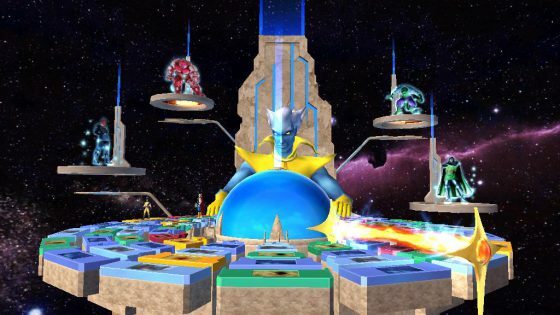 This is the reason why dozens of Marvel games launched during this time. Desperate to stay afloat, the cost of licensing one of their characters or properties was incredibly low. It was a free for all buffet, and every publisher was invited. It’s no secret that Marvel was eventually able to turn their fortunes around. 2008 saw the release of Iron Man, the first instalment of the current MCU. It was such a huge success that a second Iron Man movie followed just two years later, and the buzz surrounding the upcoming Thor and Captain America adaptations was starting to build. Superheroes were ‘in’ and Marvel was leading the way. When SEGA picked up the Marvel license, the deal turned heads. Alas, the only decent thing to come of it was the barely above average Captain America: Super Soldier and a mildly diverting Thor tie-in for Nintendo DS – the best of a very bad bunch. 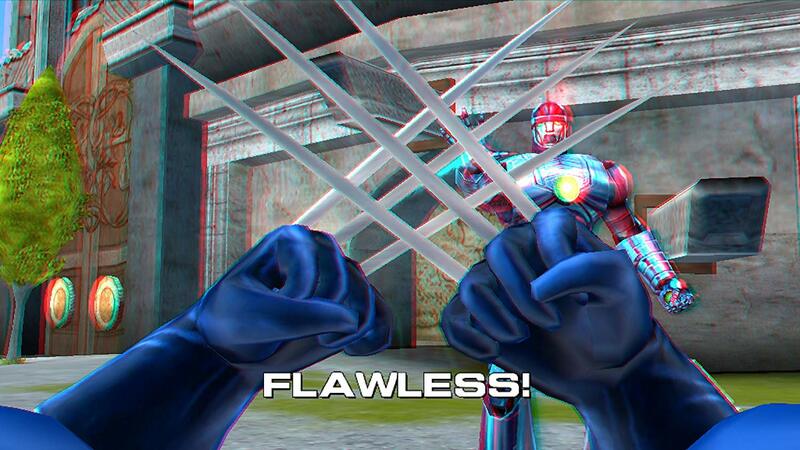 Arguably, THQ’s Marvel Super Hero Squad series from 2009 found more success, aimed at younger gamers. These games, while of dubious quality, are all well-remembered. The cost of Marvel licensing was starting to rise, and so publishers were pushing their superhero tie-ins heavily. There was, however, another Marvel game released around this time, which came and went with barely a whisper. 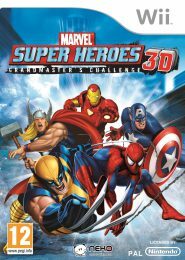 Marvel Superheroes 3D: Grandmaster’s Challenge was released exclusively on Wii in December 2010, published by European outfit BigBen Interactive and developed by Parisian studio Neko. 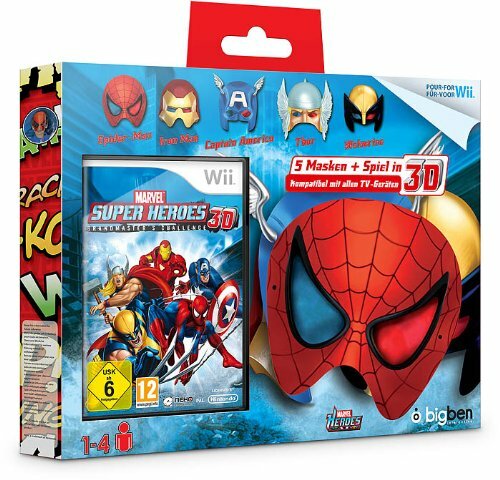 The Wii was very much in its prime – some of the year’s biggest releases included Super Mario Galaxy 2, Donkey Kong Country Returns, Metroid: Other M, and Kirby’s Epic Yarn – yet Marvel Superheroes 3D was able to elude the press and slip into stores with next to no fanfare. How and why this happened is open to good old speculation. The ideal place to start is with the game’s quality – the few gaming sites to give it the review treatment were left far from impressed. 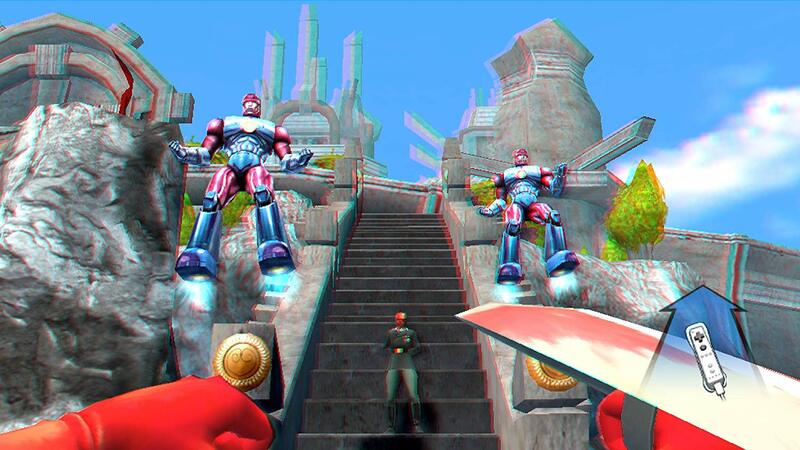 It was an on-rails shooter of sorts, viewed from first-person and heavily reliant on motion controls. A board game-style hub acted as the overworld, with the ultimate goal being to work your way to the middle and smash the giant blue dome protecting the titular villain. Iron Man, Captain America, Thor, Wolverine and Spider-Man were playable characters, while Dr Doom, Juggernaut, Lizardman, Green Goblin, Red Skull and the Grandmaster himself filled the enemy roster. Mister Fantastic and Nova showed up as supporting characters, meanwhile, appearing mid-battle to dish out bonuses and hints. Reportedly, the incredibly simple action sequences lasted for mere minutes, and everything on offer could be seen within half an hour. It was, without doubt, a budget game that had been knocked up quickly and cheaply. The game’s selling point appeared not to be the fact that it featured a respectable amount of Marvel characters, but rather that it came packaged with five plastic masks – glorified 3D glasses, essentially. We’re talking good old red and green anaglyph 3D here; the kind any TV can display. Bigben had a whole range of Wii games bundled with daft peripherals – hunting games, mostly – and despite the lucrative license, this was yet another addition to that range. It was a range that, in the UK at least, was sold only at specialist retailers. The big and bulky packaging was something of a turnoff for smaller retailers with little shelf space. This wasn’t the kind of thing you could find while browsing the gaming sections in Tesco or Asda. Many of Bigben’s games only saw a release in certain parts of Europe too, and due to their smaller distribution network, it likely only gained a limited run in some countries. We know for a fact that it was never released outside of Europe, giving some explanation as to why Google’s top search result is for the ISO file. Naughty, naughty. That’s not to say Grandmaster’s Challenge is rare, though – dozens of pre-owned copies are currently showing on eBay, available for around £10. Somewhat amusingly, none are packaged with the optional masks, which suggests most have become separated from the game over time. Perhaps children enjoyed dressing up as superheroes more than playing the game itself? So far we can deduct that Bigben more than likely didn’t send out review/promo copies to press due to the size of the packaging and the game’s poor quality, and that it’s largely unknown due to having a limited print run. But one mystery remains – how much did licensing cost? All signs point to very little. Most licensing agreements balance on how profitable something is expected to be. By releasing Grandmaster’s Challenge on a single system and exclusively in Europe, it’s likely costs were relatively low compared to what SEGA and THQ had to outlay. We wouldn’t be surprised at all to hear the game only had one print run, ushered quickly into stores for Christmas 2010. Grandmaster’s Challenge doesn’t leave much of a legacy behind, and due to its limited scope and budget, it never really had the potential to be anything super either. Almost ten years later, it’s remembered no more fondly than the vast amount of ‘shovelware’ Wii owners had to contend with.